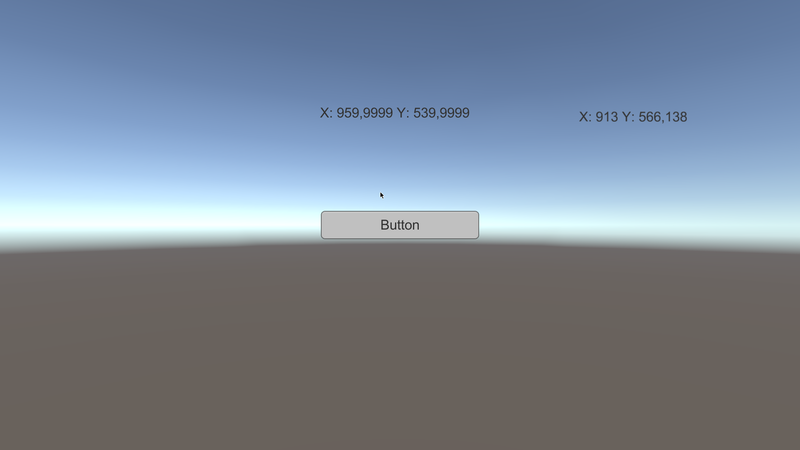 Input.mousePosition will return values that are out of the screen coordinates. User used workaround to get correct position of the mouse. Input.mousePosition zero coordinates starts from bottom of black boarders, also input ratio does not fit the graphical view ratio. Bug steel here, in new version! BTW, we were able to repro in a standalone deployment, but our primary concern is Android/iOS where tap precision is less precise. We're experiencing this issue on 5.3.1p3. Initially we thought some of our custom code was causing this, but we've constantly been able to reproduce this in a blank project with buttons with offset. We've used precision styluses to ensure the expected input locations are accurate and see that the issue is definitely not fixed. I have a test project I can provide to show this problem clearly with debug visualization added. This bug did not get rolled into 4.x? I have problems with some buttons on my 2nd scene, but not in the first. One important differance between the scenes is that in the first scene I add the buttons from the start, but in the second I add them after a while. In the first scene they are far to the left on screen, in the second they are close to the middle. If I click a bit to the right of the buttons in the scene where they are not working, I pop out of fullscreen mode. Same here - unity 5.2.2f1 on Linux - for fullscreen 1920x1080 coordinates are from X:0 Y:-120,1235 (left-bottom corner) to X:1919 Y:1080 (top-right corner).